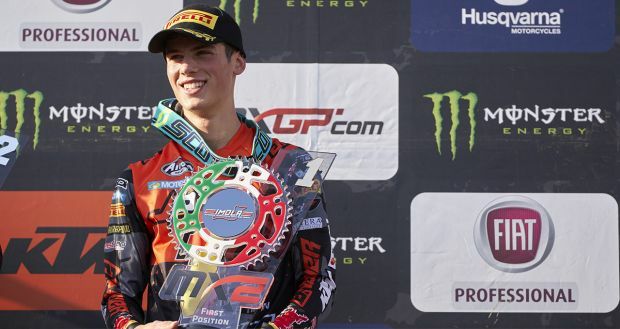 The world’s biggest event for Recreational Vehicles, a sector enjoying growth on all markets, is currently under way. All eyes will be on Ducato, the Fiat Professional best-seller which is the ideal motorhome base for all RV enthusiasts and undisputed marker leader – today, three out of four motorhomes sold in Europe are built on a Ducato base. The stand features four Ducato motorhome bases – two chassis cabs and two tractor cabs in a back-to-back configuration – to represent the countless solutions that this model allows. 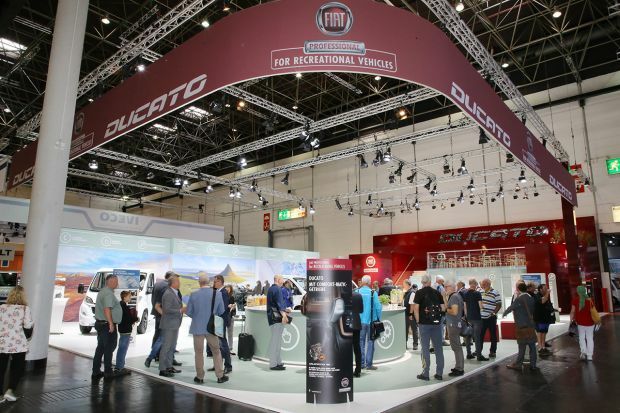 Düsseldorf will see the launch of the new “Fiat Professional for Recreational Vehicles” logo, created by Fiat Professional to serve this specific sector. All eyes are currently focused on the 2018 Düsseldorf Caravan Salon, the world’s biggest Recreational Vehicle exhibition, which runs until 2 September. A key event at which Fiat Professional is taking part with its best-seller, the Ducato, the ideal motorhome base for all RV enthusiasts, and undisputed market leader across Europe. By the side of the motorhomes based on Ducato chassis on display at the German event, on the Fiat Professional stand visitors can admire four Ducato vehicles – two chassis cabs and two tractor cabs in a back-to-back configuration – offering a small example of the countless solutions this model allows. Experts are expecting a total more than 120,000 new registrations for the sector in 2018, which is an increase of about 10% on last year. Demand is growing year on year in all markets, with expansion of about 50% over four years. So more and more enthusiasts are viewing their motorhomes as a practical solution but more importantly as an expression of their personal lifestyles off the beaten track. 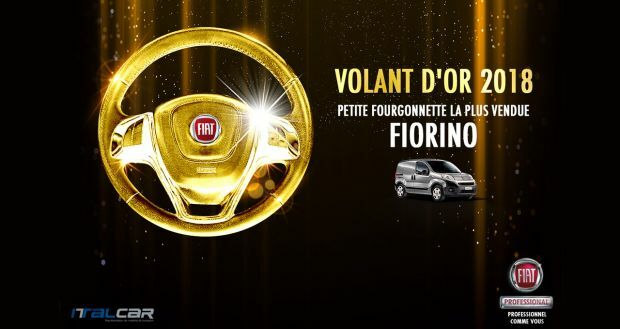 These are the people behind the success of the iconic Fiat Professional model, which is reflected by the coveted award won by the model for the eleventh time right here in Germany. Once again this year, Ducato has been named “Best Motorhome Base” by the readers of famous German magazine Promobil, confirming its leadership in the motorhome sector. 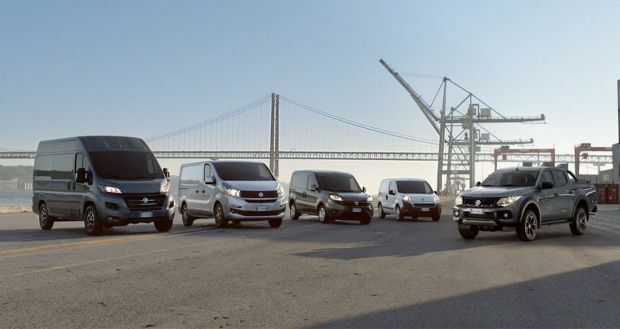 Fiat Professional is hard at work not only to continually evolve Europe’s best-selling motorhome base – today three out of four motorhomes sold in Europe are on a Ducato base – but also to develop more and more sophisticated services, delivering constant customer care. So, courtesy of the brand’s experts, visitors to the 2018 Caravan Salon can appreciate the array of solutions designed to ensure peace of mind for customers, which together with the excellence of the product itself make Fiat Professional the ultimate “Leader in Freedom”. Last but not least, at the Düsseldorf show Fiat Professional will be launching “Fiat Professional for Recreational Vehicles”, which addresses customers with a consistent name, a clearly defined identity, a specific logo and distinctive marketing. Naturally, all in line with that of the main brand, which has always expressed strong specialisation and commitment to the recreational vehicle business. At the Düsseldorf Caravan Salon, Fiat Professional is exhibiting various types of Ducato, each perfect to be converted into a different type of motorhome. 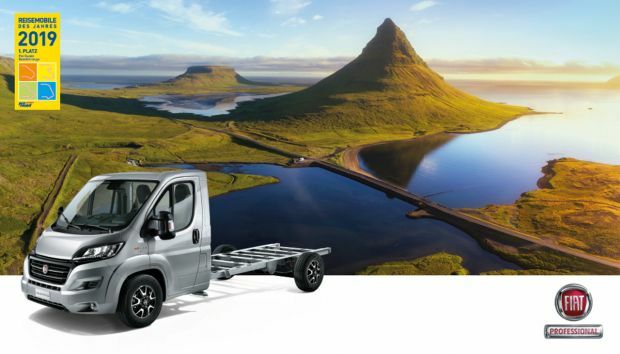 Specifically, visitors are enjoying a close look at a Ducato Chassis Cab 130 Multijet2 Euro6 with the 2.3-litre turbo diesel engine, paired with the 6-speed manual transmission, which delivers power of 130 HP (96 kW) and torque of 320 Nm at 1800 rpm. With wheelbase of 3,800 mm and gross vehicle weight of 3,650 kg, it comes fully loaded with Camping Car tyres, power windows, ESP with ASR and Hill Holder and twin airbags. The vehicle on show also features a large array of optional equipment to increase its appeal even further, including 16″ light alloy wheels, captain chairs with double armrests and swivel base, cruise control, radio with 5″ touchscreen and Bluetooth, climate control system and daytime running lights. The same impressive standard and optional outfit also characterises the second vehicle displayed on the stand, a150 Multijet2 Euro6 Chassis Cab, with a 150 HP (110 kW) 2.3-litre turbo diesel engine providing torque of 380 Nm at 1500 rpm under the bonnet. With Maxi mechanics, the gross vehicle weight is increased to 4,400 kg. The display at the 2018 Caravan Salon is completed by a pair of Ducato Maxi tractor cabs arranged back-to-back. At one end is the tractor cab with all the special styling and technology features available, such as dashboard with “Techno-trim” aluminium colour details, swivelling Captain chairs, cruise control, Comfort-Matic 6-speed robotised transmission, leather gear knob and the 16″ light alloy wheels. At the other end of the back-to-back vehicle is a chassis cowl, the perfect base for A-Class motorhomes, giving visitors a fascinating view of the Ducato engine compartment, dominated by the 2.3 Multijet2 engine with power of 180 HP (130 kW) and torque of 400 Nm at 1500 rpm, paired with the Comfort-Matic 6-speed robotised transmission. Another, not less important area is the relationship established by exploiting all the most recent communication technologies, such as the fiatcamper.com website (available in nine languages and visited over 70 thousand times a month), where camper van users can collect and check information on the maintenance state of their vehicle, social media, which provide information and tips to the camper van community in real time, and the monthly newsletter, which is sent to all outdoor enthusiasts across the EMEA Region. 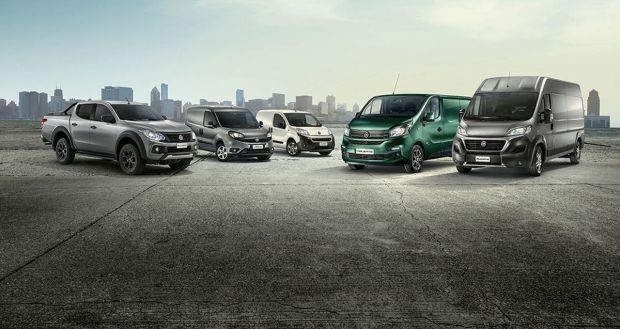 The strong team spirit of camper van users is channelled in the virtual community of “Fiat Professional for Recreational Vehicles”, with 56,000 members following the Facebook page dedicated to FiatDucatoCamper. The two key notions to be used to speak about Fiat Professional products and services are “constant improvement” and “specialisation”. 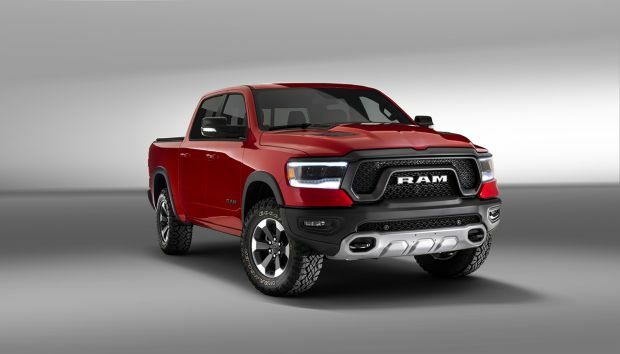 These two concepts are inspiring the progress of the brand in communications and in creating connections with end customers that is with Recreational Vehicles buyers. Market positioning has been perfected and developed over the past years. The focus of communications shifted from describing the uniqueness of products and services to a more complete approach. Fiat Professional is “Leader in Freedom” because product and service excellence guarantees the maximum flexibility and freedom to users. Its positioning has been consolidated through activities and actions which are coherent across all contacts with customers, from the ten international shows that the brand attends every year to communications on major media and advertising in ten different countries across Europe. The goal is to address customers with the tone of voice of a fully fledged brand, using consistent words and adopting a well-defined visual identity, naturally in line with that of Fiat Professional. A journey that begins with the new “Fiat Professional for Recreational Vehicles” logo. The name and logo enhance the Fiat Professional brand with specialisation in and commitment to the recreational vehicle business. The new identity will be revealed to customers during the next shows starting from Düsseldorf in August. Fiat Professional will be showing its true nature as leader in the recreational vehicle sector also by means of a communication project aimed at creating this specific brand-within-a-brand.